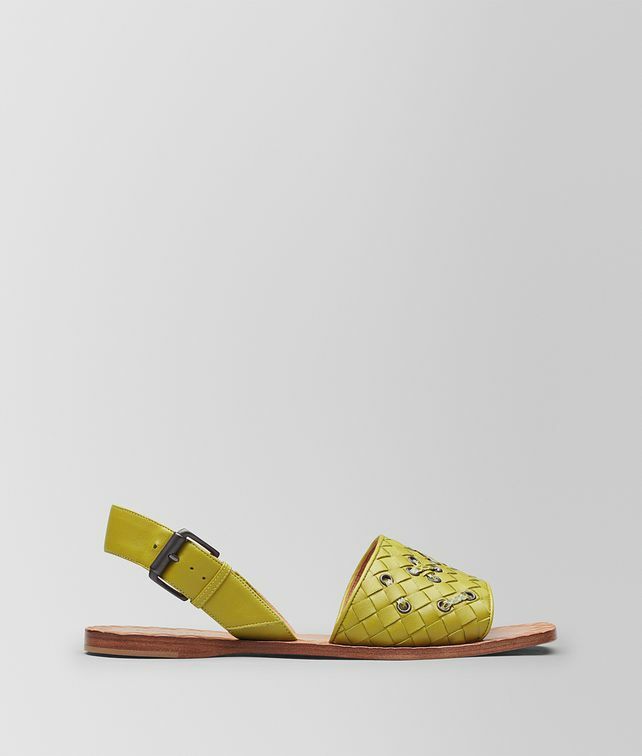 The coveted Ravello sandal is handcrafted from soft nappa in Bottega Veneta’s iconic intrecciato. This style is meticulously hand-woven with finely cut ayers through delicate metal eyelets. It is finished with a brunito buckle fastening and subtle intrecciato embossing at the sole.